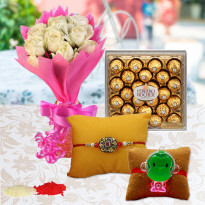 Raksha Bandhan is the beautiful occasion which is meant to celebrate the essence of the brother-sister relationship. 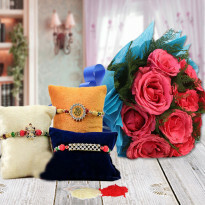 To add warmth and sweetness in the beautiful occasion of raksha bandhan, Winni provides rakhi with flowers that you can gift to your brother as a token of love. 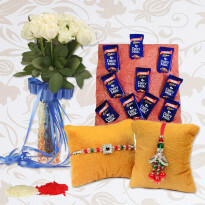 Brothers can also gift rakhi flowers as a token of respect and thankful gift. 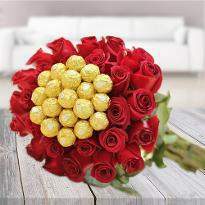 Order now and send rakhi with flowers to anywhere in India from Winni. The brother-sister relationship is just like a flower showing different colors of their attitude. They tease each other, knock down each other but can’t live without each other. 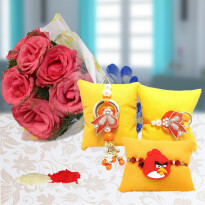 Rakhi is a day which hikes up the beauty of this relationship. A sister ties an elegant Rakhi on the wrist of her brother and the brother promises to protect his sister from every problem. This day is basically considered as the Happy Birthday of Siblinghood. So what are you waiting for? Express your love to your brother or sister like you have never done before.No words can define this beautiful relationship, but if we equate it then flowers will be the best option for maintaining the heart to heart relationship between brother and sister. 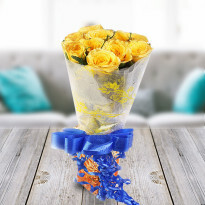 This year, plan a wonderful surprise to show your unequivocal love by placing an order of sweet smelling flowers from Winni. 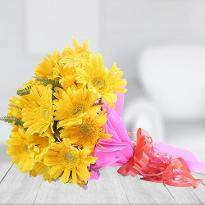 Winni has a wide range of enthralling and fascinating flowers to make your siblings feel the depth of love. Our latest Raksha Bandhan section, has a fresh collection of Rakhi flowers that will definitely turn up your day with great joy. 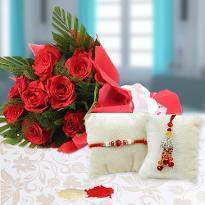 Nurture this pure bond of love, even if you are away from them, by sending beautiful Rakhi Flowers online across India. Flower is the beautiful thing made by God as it has the power to foster the celebration with joy and excitement. This Raksha Bandhan commemorates the pure bond of brother and sister with Winni’s beautiful flower arrangements. Our sweet and gorgeous flowers can add more aroma to your sibling’s life. There are different colors of flowers having different meanings in life. 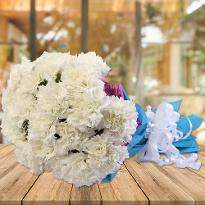 We bring you the beautiful flower collection that includes Roses, Gerberas, Carnations, Lilies and many more, available in numerous colors like red, yellow, white, pink, orange etc. that will make your siblings feel jubilant. These flowers are beautifully arranged in bouquets on Winni. 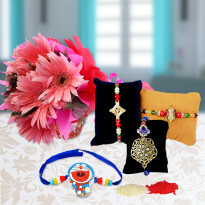 Along with flowers we have a lovely collection of Rakhis to go along with them. If you are looking for flowers for your loving sister then you can simply make a choice for a bouquet of Red Roses, Pink or White Carnations, White Lilies and Orchids. 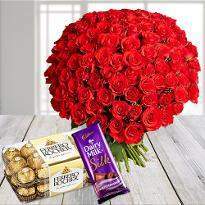 However when you are gifting flowers to your brothers, then you can go for the white shade of Gladiolus or a bunch of Mixed Roses. So come on, visit our website Winni.in and place the order right now. Send some lovely Rakhi Flowers on this occasion to brighten up your siblings day and and make your presence felt even if you are far away. 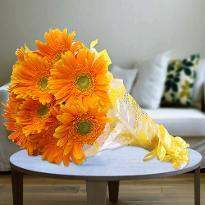 Flowers are the most affectionate form of expressing love. The enthralling and fascinating beauty of flowers can touch anyone’s heart. 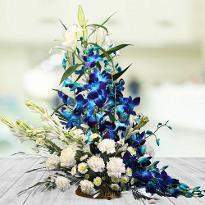 Winni has a team of expert florists who craft the trendiest and astonishing arrangements of hand-picked fresh flowers with beautiful wrapping, to make the beautiful bond of brother and sister more special. 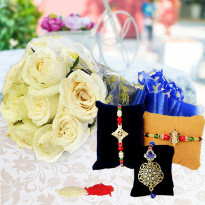 Our excellent Rakhi Flowers will definitely make this Raksha Bandhan a memorable day of your life. 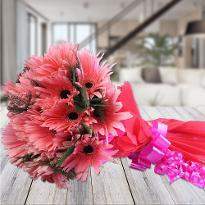 We ensure you the best quality of mind-boggling flowers to be delivered at your desired place. This Raksha Bandhan send your brother or sister Winni’s most striking arrangements of flowers to appreciate all that they do for you. Your brother or sister living away from you? Don’t worry. Winni will help you in sending your emotions to your brother and in commemorating this special day with love. We have an impressive collection of a variety of flower bouquets. 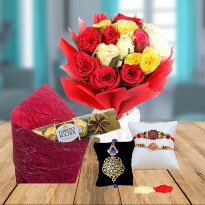 Sister can choose a lovely bouquet of flower for brother along with the elegant Rakhis that we offer, from our online overwhelming range. Brother can also choose flowers as a return gift for their sisters. 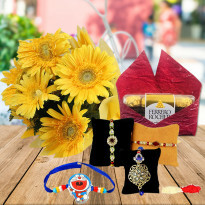 Our Raksha Bandhan Flowers category will surely please your mind, eyes and soul. Send online the lovely bouquet of carnations or bunch of roses at midnight and watch the charming faces of your siblings. 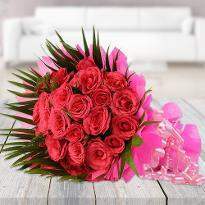 From normal online flowers delivery to flower bouquet delivery in Midnight, here you find everything. 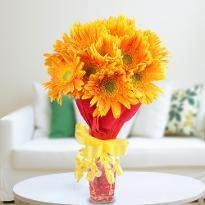 Flowers are the best last-minute gift and Winni will hand-deliver this gift with care and accuracy. 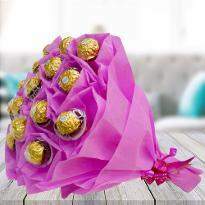 So come on, take the advantage of our amazing delivery options, and buy a nice bouquet for your siblings. 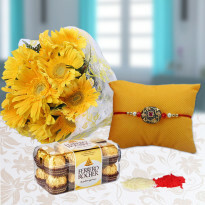 Order now the lovely flowers for Rakhi and delight your brother or sister beyond words and make this festival a memorable one.